I can’t believe we are almost into the second month of the year. 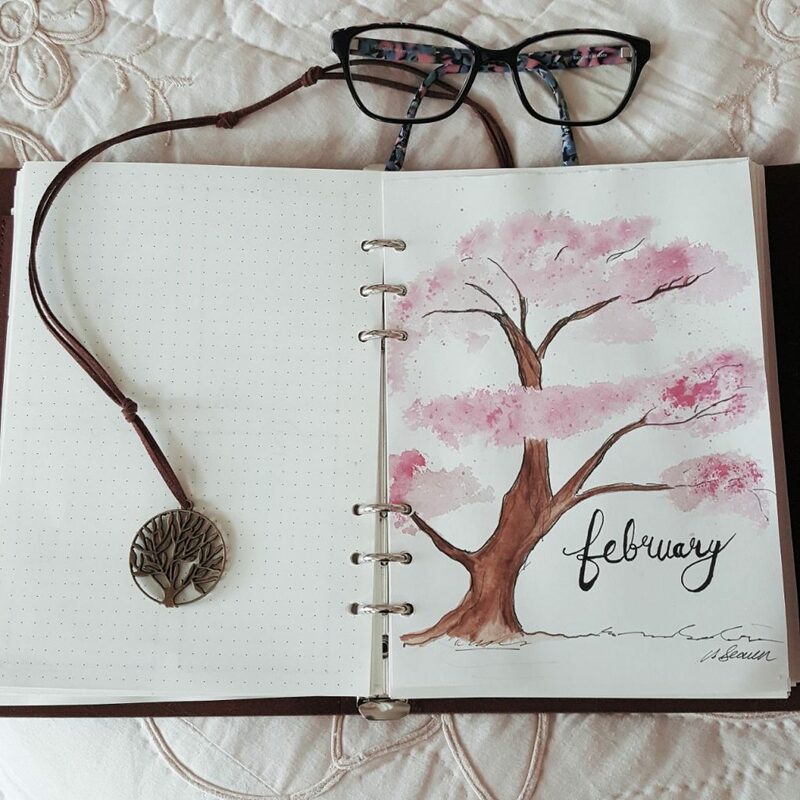 I spent a little time this weekend setting up my planner for February and I thought I’d share it. (This section contains affiliate links. ) 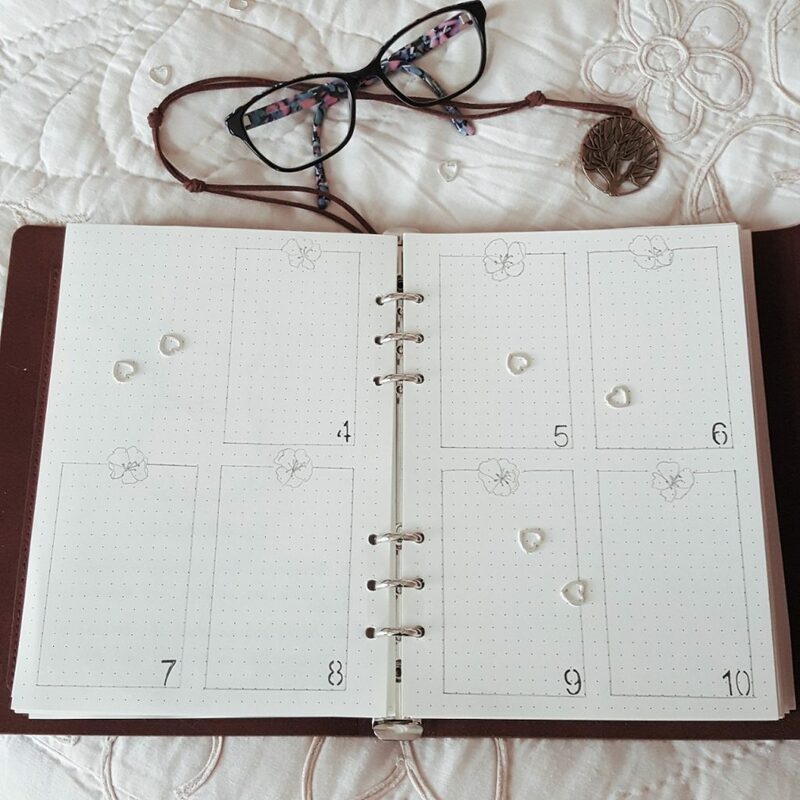 This month I stuck with my YHH planner and I’m still using the dot grid paper that came with it. I’ve been bouncing between painting with watercolours and using the Faber Castell Watercolour pencils. The pencils have allowed me to have a watercolour effect but on paper that wouldn’t normally work with paint. My sketch paper is the Faber Castell Mixed Media Pad. The pens I use are the Uni Pin fine liner in grey (0.5) and the Edding 1880 Drawliner (0.4) and (0.2). I also use the Pilot G1 in Silver and Uniball Signo in white. This was lots of fun. I really wanted to try a splatter painting with watercolour and I followed Fine Art Tips tutorial over on YouTube. I went over the area with a hard bristle brush to smudge the splatters and then added a final splatter layer. It is not my best cover page ever but it was fun so I kept it. I stick to a fairly small calendar on one page. It’s just for reference and to track certain things. I’ve never needed a bigger one so this has worked fine for me for the last year. 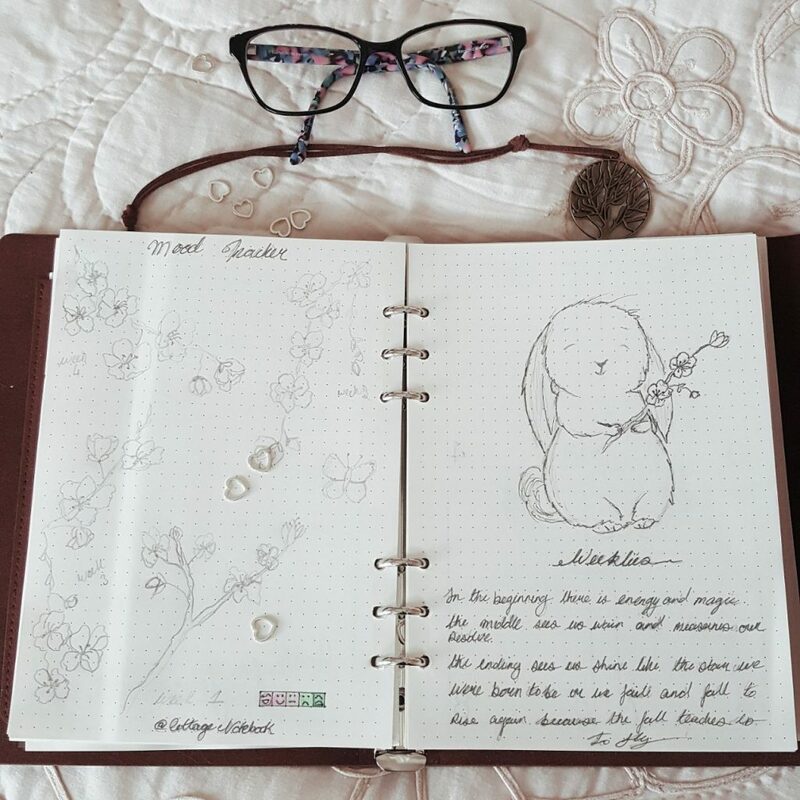 This month I wanted to do a mood tracker that was a bit creative so I made this page so that I could colour the blossoms and track my mood. I imagine this will be fun towards the end of February. Yip it was cobbled together from one of those quotes I read somewhere along with one of my old professors saying the words “You never finish anything” ( he was right and I still never do hee hee). I’ve realised over the years that I prefer my weekly spreads to be minimal with the rest of my journal to have options for sketching. This spread I left room for trackers in the box where I normally put a sketch but the blossoms allow me to add colour in this spread. So I’m ok with that. What’s your favourite type of spread? 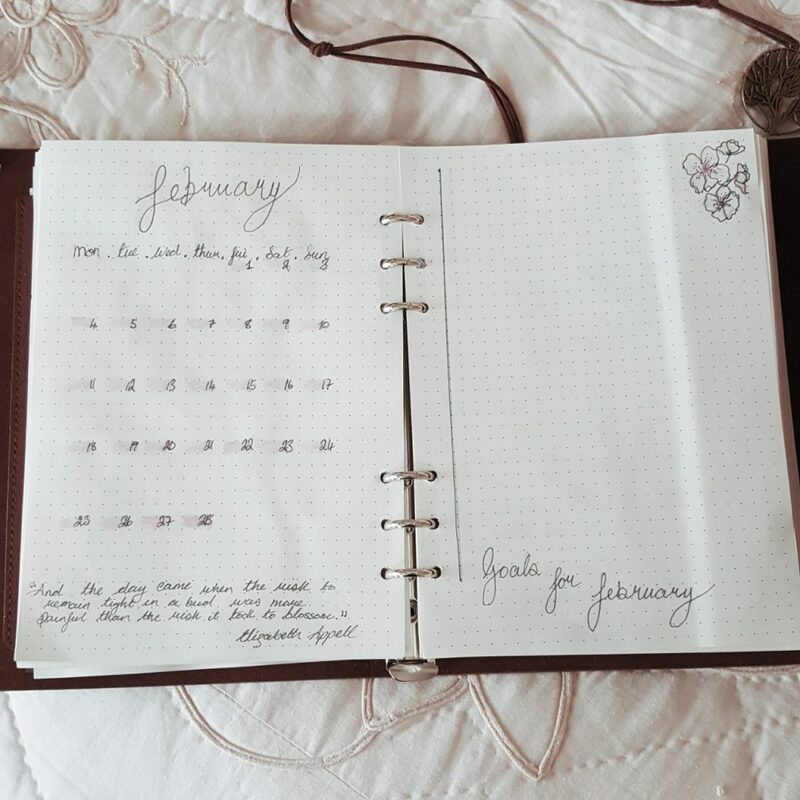 Is there something that you absolutely have to have when you set up your journal each month?